Outsourcing presents companies with a more reliable environment. In today’s world, many companies refer to outsourcing to focus on their own projects thus acquiring cost advantages and avoiding management problems. With piling data, IT management is getting more and more chaotic, leading companies to have problems in having a flexible IT environment. 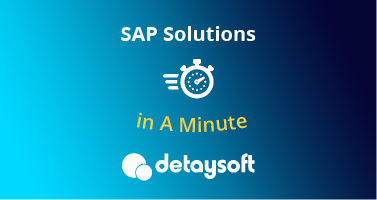 With its 20 years of experience in SAP field and possessing the best expertise, Detaysoft facilitates its clients and provides cost advantages by managing business applications. 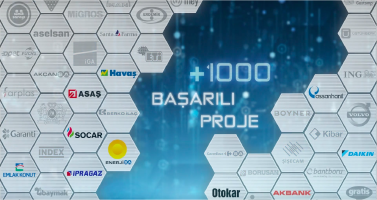 7/24 support system enables companies to have an infrastructure that constantly operates with less funds expended. Outsourcing presents companies with a more reliable environment. Thus, data and information security is provided. With Detaysoft Outsourcing Services, all processes such as SAP application implementation, monitoring and providing consistency stop being a burden. Detaysoft also takes the necessary precautions for future needs by providing services such as upgrading systems, backup, tech support and maintenance. Within the scope of Detaysoft Outsourcing Services, Detaysoft manages all process such as supplying of the infrastructure, implementation of appropriate structure for data backup, providing tech support on SAP and contacting SAP and 7/24 tech support from one end to the other.